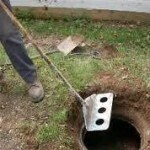 Septic System Repair San Antonio can count on. Big Bexar Septic has some helpful tips to keep your septic system running smoothly and keep your septic system repairs to a minimum. Non-Biodegradable Products – chemicals and solids (tampons, cigarette butts, condoms, or other similar items, hair, bandages, rags, strings, coffee grounds or cereals). Paper towels and handy wipes; no matter what the box or manufacturer, etc. says! No anti-bacterial soaps – Biodegradable soaps only ! Do not use what is called “biocompatible soaps”. Heavy dose and long-term use of Mr. Bubbles/Dow’s spray toilet cleaner or any other excessively strong cleaner. Chemicals from x-ray equipment discharges, even if diluted because they will re-condense in disposal system and eventually pollute the underground environment which is illegal ! Disposable baby wipes / diapers / hand and facial wipes – NO MATTER WHAT MANUFACTURER SAYS, DON’T PUT THEM IN; DISPOSE OF THEM IN A GARABAGE CAN! Dead fish or animals – REMEMBER, it’s a septic tank not a cemetery. Hair conditioners with heavy oils – if you use them, we need to know so we can do something to compensate with added or different bacteria (none if they are not bio-degradable). Latex, plastic or metallic objects – (If you haven’t, wouldn’t or couldn’t eat it – Don’t throw it in septic tank system)! 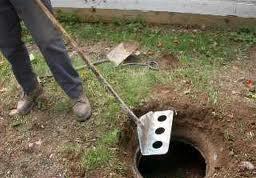 What are some common types of Septic System Repairs? Mechanical; failure of aerators, baffles, pumps, sprayers, motors and components of your septic system that have moving parts. These failures within your septic system which are mechanical usually caused by wear and tear or just an outright mechanical failure. Electrical; aerators, pumps, and motors are sensitive to lightning and electrical surges. 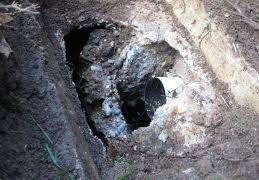 properly grounded septic systems have electrical problems less frequently. However, a lightning strike on your property can damage the electrical components in your septic system. Plumbing; clogged pipes or foreign materials in your septic system can clog baffles which can generate smelly headaches. Often unwanted backflow into the shower or bathtub is a sure sign of clogged pipes. Natural; the all too common dry season can cause the ground to shift, thus cracking deteriorated septic tanks, or poor quality septic tank installations, which dont account for soil shifting. 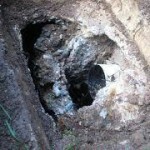 Tree roots growing into your septic system can cause major headaches courtesy of mother nature. Overuse; a septic system by design is built for a certain number of people and certain frequency of use. 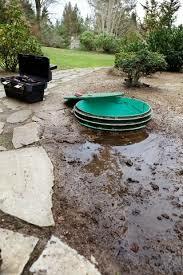 overuse can not only damage the pumps and other components within your septic system but your drain field can be damaged by overuse this smelly and expensive repair can be avoided by having the proper size septic tank installed. And being conservative when estimating the use of your septic system during the septic system design process. Hopefully these tips can help you in determining your septic systems problem. 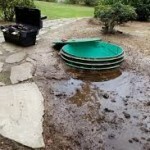 A helpful piece of information to have prior to calling Big Bexar Septic is your septic tank lid locations, and the locations of any washouts on your property. Contact us to schedule a service call if you need assistance with your septic system repair.